How much is table service at Bassmnt? 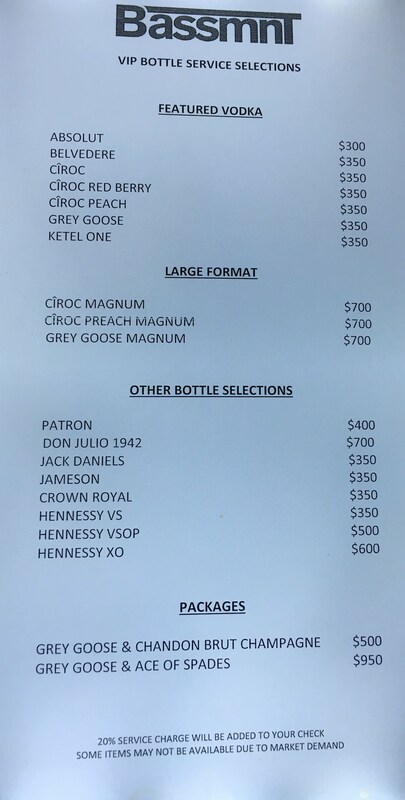 Bottle service minimums at Bassmnt varies depending on the talent spinning, and the number of people in your party. tact us below and we’ll get you a custom quote for your party shortly! Make sure you let us know whether you want to be in the EDM room or the hip hop room. Which is the best table at Bassmnt? The DJ table is the best table in the house – you’ll need to get 3 bottles to lock down this table.